Oh my gosh, isn't Parker the cutest. I was so glad when his parents booked their newborn sessions with me last minute, he was such a cute little bubba. Seeing him again for his 1 year session was so awesome. 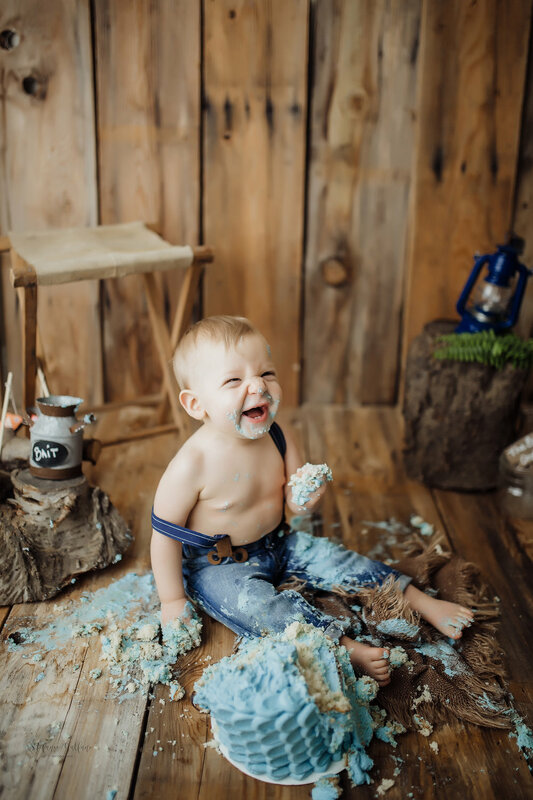 He looked the "same" but so grown :) I love how this rustic fishing theme came together. Of course the amazing cake by The Rowdy Bunch, located in Moses Lake, WA.